1. Fuel cells using model layered bimetallic materials (Cu, Ni, Co, Au and Ag as supporting materials) and Pd as active surface for electro-oxidation of formic acid. This research is conducted in collaboration with Prof. Su Ha (chemical engineering, WSU). The synthesis of bimetallic core-shell nanoparticles structures is an important portion of this research. 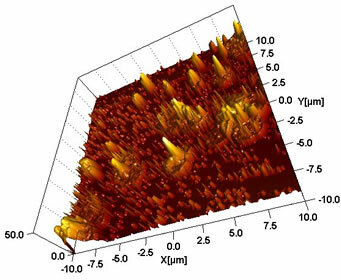 These systems are investigated by AFM, XPS/UPS, TEM, XRD, and CV and CA. They are working on this project which is supported by a three year NSF grant. These bimetallic surfaces show important improvement toward electro-oxidation of Formic acid and enhanced lifetime activity. These results could have an important technological impact in the construction of new direct formic acid fuel cells (DFAFC). 2. 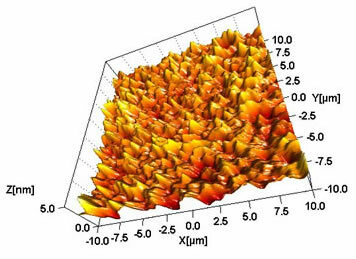 A variety of polymeric and hybrid nanocomposites materials are also investigated by XPS/UPS and AFM (WSU). Organic photovoltaic devices are made at the University of Virginia and parameters such as Voc, Isc etc... are measured. 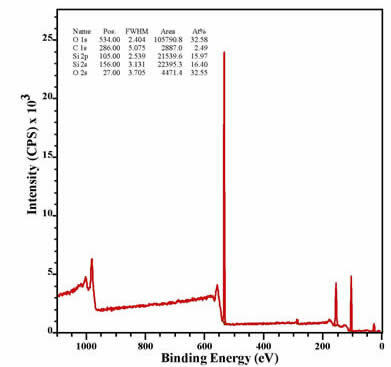 Films of P3HT, PCBM and other organic polymers as well as their blend and perovskite (MAPbI3) are spin cast on n-type Si and ITO and then analyzed at WSU by XPS and UPS. 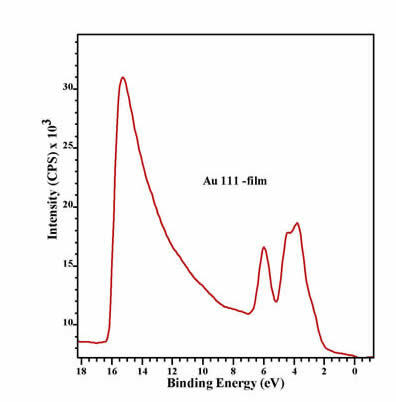 Spectroscopic information allows the construction of energy band diagrams that are used to study organic heterojunctions. Collaboration with Prof. Mool Gupta's and Prof. Josh Choi's groups (University of Virginia) allows a) the measurement of parameters such as Voc, Isc etc... on devices made at the University of Virginia and b) the spectroscopic measurements of energy levels at WSU on the same films used for the devices. We are specifically interested in understanding the performance and stability of bulk organic HJ devices as a function of temperature and illumination, and using different polymers (as donor and/or as acceptor) to evaluate devices performance. 4. AFM imaging of bovine blood cells (normal and infected by Babesia) is an ongoing study in collaboration with the USDA/Vet school at WSU (Dr. Suarez). Students: A high school (Wendoline de Jesus Mercado and Elizabeth Gussman) and undergraduate (Christine Ogondo, Jing Wang) students are currently generating AFM images of erythrocytes and free merozoites. Fields of expertise: Microscopy and Spectroscopy (XPS/Auger/UPS, SPM, FTIR, Raman, TGA/DSC and SEM/EDS, AFM and STM). A list of publications is given in Link 2. Furthermore, I have been extending the use of the chemistry spectroscopic facilities (XPS/Auger/UPS, SPM, IR, Raman, TGA/DSC and SEM/EDS) to outside high tech companies and Universities (Link 1). This page in maintained by Prof. Louis Scudiero.